You can make reservations NOW for any event and secure your tickets early by adding them to your reservation. Call the hotel directly and be sure you tell them you are with the block of rooms for the event. Let them know if you want to add tickets to your room. Some hotels offer packages that include other meals or specials. Make a weekend of it and enjoy all that Smithfield has to offer. Walk to the event, or take the free shuttle van to/from your hotel after the event. CALL HOTELS DIRECTLY TO MAKE RESERVATIONS. TELL THEM YOU ARE WITH THE FESTIVAL. Located just across the pedestrian bridge from the fest site! In the heart of historic Smithfield on the banks of the Pagan River sits Smithfield Station, offering guests a superb spot to enjoy the solitude of this river-port town. This one-of-a-kind waterfront inn combines fine amenities, unique conference space, on-site dining and a fully equipped marina all within walking distance to art galleries, specialty shops, historic attractions and a diverse array of dining options. The personal touch of the Pack family certainly makes Smithfield Station a memorable place to stay, as no detail is left unnoticed and their personalized service is second to none. This comfortable atmosphere is permeated throughout your stay making you feel right at home. 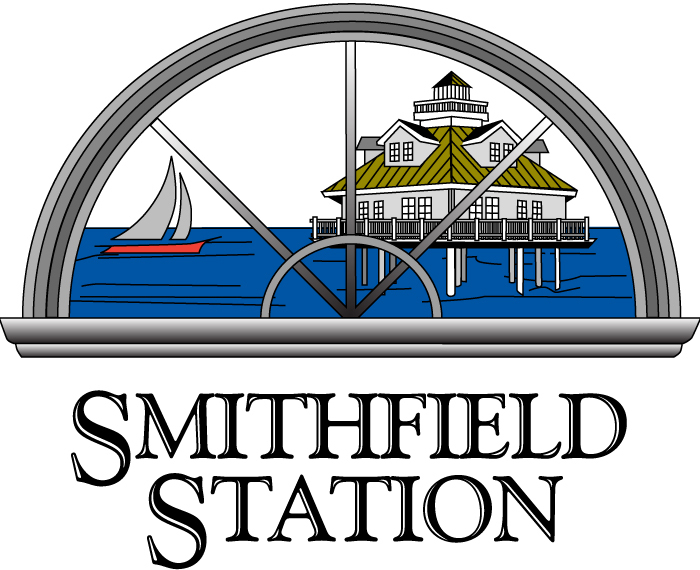 Whether you are visiting for just one night or the entire week, Smithfield Station is the perfect waterfront oasis. Book your Wine/Brew 2019 Rooms on-line by CLICKING HERE. Just a few miles from the site, ask about free shuttle service to and from the event. This Smithfield, VA hotel has everything you need for a relaxing and successful stay. Unwind on a clean and fresh Hampton bed® and stay entertained with premium TV channels and free high-speed internet access. Join us for a Hampton's free hot breakfast® or grab a Hampton On the Run® Breakfast Bag, available Monday to Friday, before heading out for the day. the fitness center or a rejuvenating swim in the indoor pool. Located in the heart of downtown Smithfield on Main Street, The Smithfield Inn offers five historic, one-of-a-kind bed & breakfast suites on the second floor, each with a private bath, sitting room and bedroom with queen size bed, except for the Todd Suite which has a king. The Luter and Todd Suites have working gas fireplaces.